The U.S. multinational car maker Ford has unveiled the Endeavour also known as Everest concept during the Beijing Motor Show and is expected to be launched in Indian car market during the mid of 2015. Apart from this it is also speculated that company might start the production of Ford Figo concept sedan during the time it starts the production of Endeavor aka Everest. The existing version of Endeavour is offered in three variants namely 2.5 litre manual 4x2 and 3.0 litre diesel automatic 4x2 and 4x4 versions. 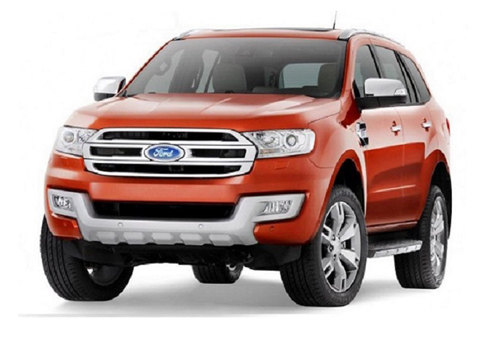 The Endeavour for 2014 will be bestowed with few cosmetic changes and is speculated to be launched in next two months. On the other side the latest Everest concept of Endeavour will make its debut after the launch of Endeavor 2014 and will be blessed with low emission engines. In Indian car market it will be brought through CKD route. At present its production is taking place at company’s manufacturing plant located in Thailand. It is speculated that company will also showcase the production version of Everest aka Endeavour in one of the upcoming auto shows scheduled to be held in Asia. The proposed Endeavoru is developed on company’s Kinetic platform and carries most of its features from its another sibling EcoSport. Click here to know more about the features offered in existing version of Endeavour.